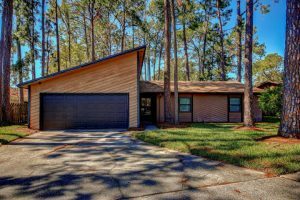 This weekend we have two open houses – in Mandarin & in Oakleaf. Please come by and tour these beautiful homes this weekend. We have wonderful agents available to assist you and answer any questions you may have. 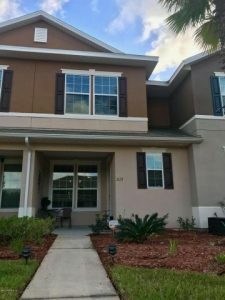 Don’t miss your chance to live in Mandarin for an affordable price! Well kept, maintained and updated 3/2 with a large, naturally shaded lot. Recently redone kitchen, newer appliances and wood floors. The roof was replaced in 2015. Large 2-car garage. There is a spacious breakfast nook. Lovely stoned over wood-burning fireplace. A giant, privately fenced in backyard. This is a perfect starter or step up home. A great candidate for the Florida Bond Program or other first time home-buyer programs! Act fast, this one will be gone very quickly! Under Contract. ACCEPTING BACKUP OFFERS. MOVE-IN ready former vacation property in excellent condition. Occupied a couple weeks out of the year. Close to schools, shopping, restaurants, and entertainment. Kitchen features matching stainless steel appliances, plenty of storage, and large large island with breakfast bar. Relax after a long day in your enclosed patio or take a soak in the large garden tub. Access to pools, clubhouse, tennis courts, and more.